MAXBURST is a New York based digital agency focused on creative and results driven web solutions. Out talented staff of web designers, developers, project managers and marketing pros strive to stay current with all the latest web technologies and trend. We’re a Top-rated NYC Website Design & Digital Marketing Agency focused on creative and results-driven solutions. Whether it’s to increase profits, provide support, sell products or promote your brand, allow our web design services to bring your company front and center. Established in 2007 on Long Island and with offices in New York City, our web design services have a proven track record of what it takes to have a successful website. As a law firm, the key to reaching your clientele is to create a striking website. 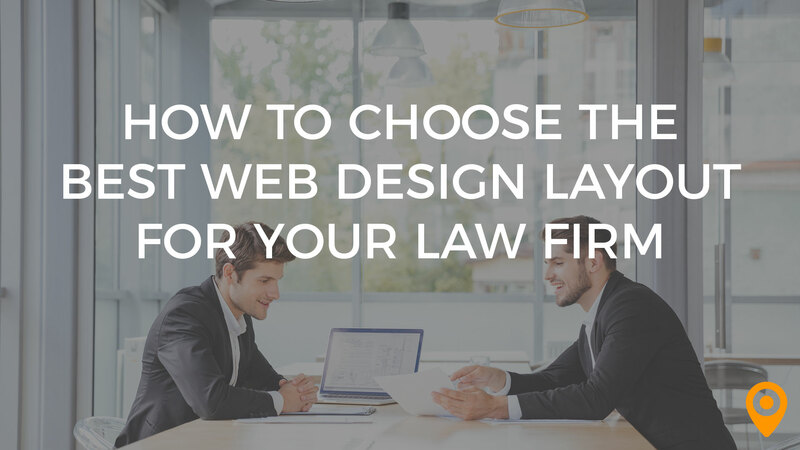 Here are 11 tips for choosing the best web design layout for your law firm. 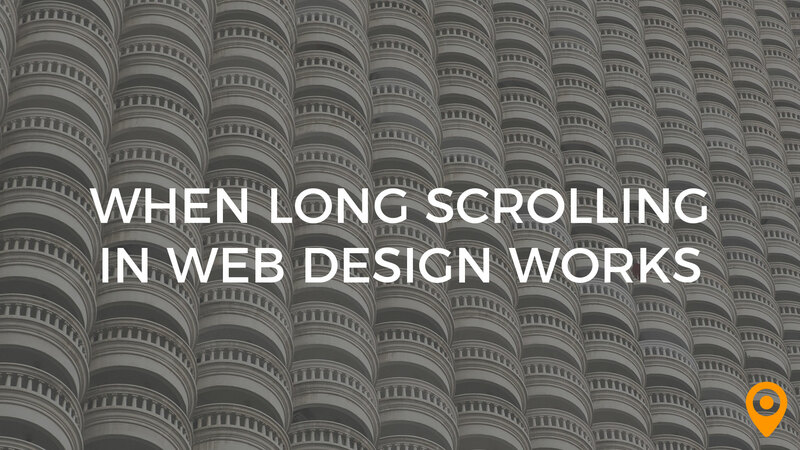 In some cases, a long scrolling website can provide a great user experience (UX), especially on mobile. A memorable UX encourages visitors to engage and convert. Creativity, knowledgeable, professional, attentive, easy to work with, and highly dedicated to the project being as close to 100% as possible. Schedule provided in proposal was considerable off target. Significant benefits from having selected a local web service in terms of oversight. Regular meetings at web builders office extremely helpful. We launched a web which met and exceeded our expectations. Finished product looks amazing. Highly professional and responsive team. Great creative input and functionality solutions. Nothing negative to add here. Overall positive experience. The team at Maxburst took the time to understand our business and our needs. The team delivered a product reflecting solutions that we were looking for and a visual representation of our organization that mirrors our vision and goals. The details and time dedicated at each stage of development was impressive. An overall great experience. Extremely satisfied. I would have to say that working with their project manager, Colleen, was the absolute best experience that I had. This makes sense since their process is basically optimized so that the client only has to deal with the main project manager that is assigned to the account. I received tons of strategy suggestions and thoroughly enjoyed the entire project process. I really do not want to harp on this but the one thing I did not like was the timeline that was given to me initially when I started the project. I was told the entire process would take anywhere from 12-16 weeks but it ended up closer to 18 weeks. Ultimately it was not a major issue for us but I do like it when my vendors meet their estimated deadlines. The end result was absolutely fantastic though so it was well worth the extra 2 weeks. Maxburst recently redesigned our company's website and needless to say, it is a tremendous success. Our company recently went through a large corporate rebranding, requiring the creation of 3 new websites that required some complex design principals and a custom platform for our employees to access securely. Everything looks beautiful and is functioning perfectly. Throughout this entire process, we worked with Colleen who was our main project manager. She and her team, deserve a lot of credit for meticulously managing and implementing our requests. I know that my partners and I can be pretty demanding with lots of strong opinions but she took it all well and at the end delivered exactly what we envisioned. We highly recommend Maxburst to anyone looking for a quality web presence that is beautiful, functional, interactive and easy to update. Their customer service and project management skills are some of the best I have seen in the industry, their designers and programmers are all extremely talented. We couldn't be happier with the end result. The Maxburst team was great to work with. They were very responsive to requests and the turn around on changes was excellent. The project took longer than originally planned, however, much of the delay was due to shortage of resources within our own organization and finalizing content for the new Website. Overall I would recommend Maxburst to anyone seeking to modernize their Website. They were creative and did a great job of delivering on the vision we conveyed. We could not be happier with our new Website and the customer, partner and employee feedback has been great. The team was super responsive and very quick to offer feedback. My project manager was able to keep up with our requests. Even though we didn't host with them, we were still able to reach out with questions. Our website looks amazing. We could have used documentation on how the site was built, so that we could continue to grow the site with our internal developers. I have also worked with backends that are a little cleaner. Overall, I was impressed with the quality of work. Though we've made some functional changes based on our changing business needs, the site developed expresses who we are and who we want to be. Thanks MaxBurst! Maxburst was able to problem solve any issues that arose during the development phase, and was able to deliver all of the functionality that we requested in an extremely timely manner! The overall process took longer than we expected, but partially because our internal team was making changes to design throughout the development phase. Overall, we were very happy with the work that Maxburst did for our new section of our website. They were able to develop and deliver all of the functions that we wanted with ease, and created a very user friendly wordpress site for our marketing team to use to upload new content. I would highly recommend! #1 - final product! We hired Maxburst for a complete technical and visual overhaul for our website and image branding. Today, over a year later, we are still getting compliments weekly on our 'new site'. That is impressive to me. Start to finish did take a few months longer than we planned, but to be fair, half of that was due to us providing them all of the content in a timely manner. Our old website was 12 years old. We needed it to function within the specs of modern devices and I did not want a template looking site. I searched nationally for web designers and put together a wish list of all the coolest looking features I was seeing on the best sites. I interviewed 5 different designers from Chicago, Atlanta, New York, Nashville and Savannah. All of them were talented firms with great looking products, but it was the way I felt taken care of and listened to that sold me on Maxburst. They did not flinch at all the 'things" I wanted and still worked with us as a small company on a small company budget. The experience never diminished, actually the opposite happened, and I was continually being surprised with new ideas and offerings from them along the way that kept the project alive and exciting. The last days before launch were like waiting for christmas as a kid. The people were great, the design was awesome, couldn't be happier. Communication was excellent. Maxburst had a grand vision and delivered. The entire experience was a pleasure. I couldn't be happier with the services rendered. The design of the website was beautiful! They put the pieces together very quickly while staying within our brand guidelines. Throughout the design process some change requests were overlooked and needed to be restated. But overall they did a fantastic job and met our deadline. Overall and from the beginning Maxburst has been very easy to work with. After the initial onboarding call, they got back to us quickly with more than one option for the wire frames. Throughout the process, they gave us plenty of reign to ask for tweaks and changes. We were on a very tight deadline and they were on top of it. Stephanie Kuvykin was our project manager and we greatly enjoyed working with her. She is very responsive, focused and solution oriented. Communication was very clear and quick - our new website (www.sir-usa.com) came out great, it's very modern and exactly what we had in mind. Some of the functionality we were looking for was not available for certain portions of the site but we're making it work for now. We had a great experience with the Maxburst team. They came in at our budget, provided a sleek new website for us, and we loved the team - John & Amanda particularly. MaxBurst was recommended to our organization through a colleague who used them as well. They presented a well thought out plan to update our website. They Stayed true to the pricing quoted were professional and easy to work with and also provided training. It's hard to say, what I liked least, because I've had a good experience. I am very pleased with the updates to our organizations website as well as the guidance and training MaxBurst provides. The first thing I liked working with Andrew is his professionalism on all aspects right from the start of the project, to its submission. All what was agreed upon are implemented, and communication is perfect. Andrew also makes lots of suggestions and recommendations to make the work much more easy and effective. So far, with all the projects I've been with Andrew, i could not see any negative aspects to share. Everything seems to be perfect for this agency, and there is nothing i could ask for more. Simply the best agency for me. I would be willing to work for him for many more projects. I had an awesome experience working with Andrew. I would highly recommend him to everyone. The Maxburst Team is one of the best in the industry. They deliver top notch service to all of our clients time and time again.. So far after several projects we have not received any negatives reviews from our any of our clients. Maxburst's team is very patient in explaining an old school professional how the new world works. It took me some time to comprehend all new information concerning business online presence. I am a huge fan of both andrew and amanda. They were there every step of the way from inception to launch and beyond. Hard to find something we don't like. So far they have exceeded all of our expectations. We hired Maxburst to help us create an e-commerce site, from scratch, for our newly launched sock company for men with large feet. At the time we met with Andrew and Amanda, all we had was a name, logo and a Dream. They helped build, what is today, a fabulous, multi-media storefront for our family business. From mock up ideas, to creating the site, to giving our photographer product photo specifications, to populating each visual component, they were there holding our hands. The website looks amazing! Equally as important is its functionality, and that's where they shine even more. Our family business is our first entre into the e-commerce world so we knew nothing about Word Press, Woo, Authorize.net, Shipstation, shipping options, stamps.com; we were clueless. Amanda worked tirelessly with our IT consultant, and made everything work perfectly. What's even more helpful is that when a problem arises, she is ALWAYS available to help us troubleshoot. The Team at Maxburst are an extension of our family. We're not sure what we'd do without them. They turned our dream into a reality, and we hope to go onward and upward with them to make Tallorder.com the successful business that we expect it to be! Without a doubt, the folks at Maxburst have been unfailingly attentive and responsive to our company's complex needs. Having to bring them so many problems to solve! Seriously, the Maxburst team has a knack for breaking down intricate problems and solving them in a comprehensive and methodical manner. Our ongoing relationship with the Maxburst team has not only allowed us to continue to grow and thrive -- it's also been extremely pleasant and upbeat. Their willingness to listen to my suggestions and bring them to life as well as their ability to put their talent and expertise to work in creating a custom design of our website that exceeded our expectations. After spending too much time trying to come up with an answer to this question, I had to give up. I honestly cannot think of any negatives in dealing with Maxburst. I am a very detail orientated entrepreneur. I wanted perfection in my website design and I am sure I was not easy to work with, but the crew at Maxburst we the most accommodating and talented bunch of designers that I could have hoped for. I would highly recommend them. Creative, reliable and knowledgeable about web technology. Prior to having a New York City location, we would have to travel to Long Island. Thankfully they are now only a subway ride away! MAXBURST has been assisting our web design development and marketing strategies for nearly 10 years. They were a driving force in our initial branding and online presence. Throughout the years they have helped our company by providing their expertise and support on web, branding and marketing strategies. Working with them is always easy and professional. I am very pleased with the re-design of my website by Maxburst. They are extremely professional to work with, and their work displays the creative abilities and great attention to details. They have exceeded my expectations. I highly recommend Maxburst as a company for your web solutions. I am sorry but I have nothing negative to say about Maxburst! My experience with Maxburst has been fantastic. I have worked with many web design companies they are by far the most skilled and professional I have encountered. They are very intuitive and apply an outstanding amount of care and creatively to each project. They are and will remain my “web guys” in the future to come. Excellent team work and leadership. Our project was managed flawlessly and the design and development team brought life to it. The team consistently provided innovative ideas that we had not event had thought about. They are extremely knowledgeable, professional, thought leaders that just enjoy and love delivering tangible results. The project was delayed but it was due to scope-creep introduced by one of my business sponsors in the middle of the project. The Maxburst team demonstrated to be extremely agile and accommodating to the enhancements and everything was delivered with quality. Overall we are extremely happy to have partnered with Maxburst. It was comforting to work with a firm that offers solutions and take their time to really understand our business and problem we were trying to solve. In regards to Customer User Experience, the selection of photos, images, color and branding, they were market experts to prioritizing and organizing our information so our message matched our brand mission. The Maxburst team continuously offered market and design best practices and taking into account SEO was also a huge benefit. We will continue to partner with Maxburst on future projects. Excellent work! Great design solutions and ideas. They strive to be more like a partner, looking to understand my organizational goals and what I expect to achieve with the project we are working on. Honestly, nothing to comment here. I have worked with their project managers on multiple projects and haven’t had anything that stands out honestly. Their project managers really keep an eye on every stage. I have worked with MAXBURST for over 10 years. They have always set the right expectations from the start and are straight forward with what it takes throughout the life cycle of a project. From design to the technical, the suggestions and work have always exceed expectations or have triggered new ideas that have added value to every project. I always recommend this agency to any established business looking for a collaborative experience and great service. Definitely an agency to have in your corner. Maxburst was very easy to work with! They were very good at getting back to me and keeping me informed about the process of building my website and giving me great options and steering me in the right direction. the whole process was amazing. I don’t have any complaints or anything that I like the least about the Maxburst expreance. I worked with Maxburst to build and design my website for my company. The whole process was smooth, fast and they made it very easy. I continue to work with them on changes to my website and I will continue to recommend them. If you want a company that cares about there clients and is trust worthy that when they say there going to get it done. Rest assure they will on time. Maxburst provided exceptional service throughout the project. They were always on time and prepared for every meeting. Their knowledge led us down the path to integrate a social media aspect to our site. Their ongoing support of the site has be nothing short of extraordinary. Their business model was a perfect for our needs. Honestly, we did not encounter and issues with the Maxburst staff. The entire experience of designing and building our web site with Andrew and his team was flawless from start to finish. Upon providing our vision for a small business website, Maxburst came up with a thoughtful, and comprehensive design. Andrew and his team were extreamly knowledge and walked us through every detail of the project. They laid out the web content in an intuitive manner and in a way that was quiet user friendly. The team met all of the project milestones on time and provided a beautifully designed site, the final product far exceeded our expectations. It's been almost a year that our site has been operational and Maxburst continues to fully support every aspect of the site. Maxburst went above and beyond, I would highly recommend Andrew and his team to anyone. They are conscious of their client's needs and handle requests efficiently in a timely manner. Limitations and issues with webmail which has created problems in adding contact names as well as removing multiple email addresses. Our experience is very good with an organization that is honest, reliable, responsive and trustworthy. I've been with MaxBurst for several years, and can say without full confidence that they are the best design, development and SEO firm I've worked with in my career. Personable, honest, quick with communication, and at the end of the day they have something that is incredibly rare in today's business world... integrity. I highly recommend them without reservation. All excellent. As I said above, I've been with MaxBurst for several years, and can say without full confidence that they are the best design, development and SEO firm I've worked with in my career. Personable, honest, quick with communication, and at the end of the day they have something that is incredibly rare in today's business world... integrity. I highly recommend them without reservation. Excellent. I've been with MaxBurst for several years, and can say without full confidence that they are the best design, development and SEO firm I've worked with in my career. Personable, honest, quick with communication, and at the end of the day they have something that is incredibly rare in today's business world... integrity. I highly recommend them without reservation. MAXBURST has been a part of our family for over 10 years and has provided outstanding service for our three websites. When I started at my job, I was told that I would be working with MAXBURST on our website. I am not a tech savvy person so I didn’t know what to expect. Andrew and Donny were extremely patient and made sure to explain things each step of the process. Over the years, I have seen MAXBURST strengthen by expanding their reach and services, yet their excellent assistance has never wavered. Their quality of service is at the same fantastic level, if not better, than it was 10 years ago. Their support staff is incredible! We have a huge event every year that requires the website to be updated often. I was behind one year in sending over the details for the event and I received an email from the support staff checking in and asking if I needed any help. I was so impressed by that email because they are busy with their other clients and yet they took the time to check in. I work in a business membership organization and we take pride in the relationships we have with our members. I always highly recommend MAXBURST because I know they are going to treat our members with the high standard of care that we take pride in. The team at MAXBURST truly has their clients best interest at heart and it is made evident in the daily. Thank you MAXBURST for all that you do. The entire team at MAXBURST is a pleasure to work with and are all very talented web professionals. I mostly speak to my assigned project manager and she has never disappointed me. We often need custom web development updates to our existing corporate site and mobile app with a quick turn around time. MAXBURST is always there for me and my team anytime I need something done. Excellent agency to partner with. I didn't really have a negative experience with them and i hope to never have one. MAXBURST has a great team from what I have experienced so far, a very low turnover, which is nice when working on complex projects with them. I am always thoroughly impressed with their knowledge and understanding. I appreciate the way we all work together in a partnership to achieve the project objective. We are still working together and am looking forward to that continuing This is a top notch and super polished digital agency. I strongly recommend them to anyone. Andrew and Maxburst developed and designed our site and continue to maintain it. Whenever there is something to be updated or a question, turnaround time is usually a day or less, impeccable customer service. I highly recommend Maxburst. They came up with a great design and created the site the way I wanted.